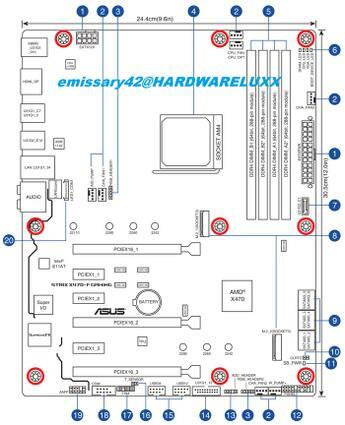 Over the weekend an Asus X470 Motherboard manual has leaked on a German tech forum. 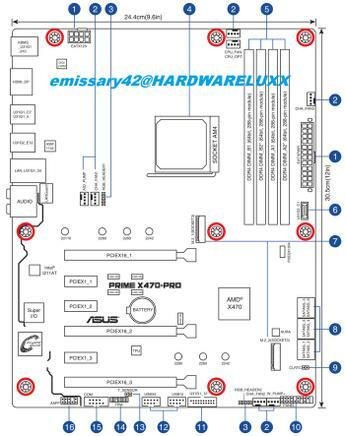 A HardwareLuxx user shared screenshots of the new generation AM4 motherboards which are designed to make the most of the upcoming new AMD Ryzen 2000 Series processors. 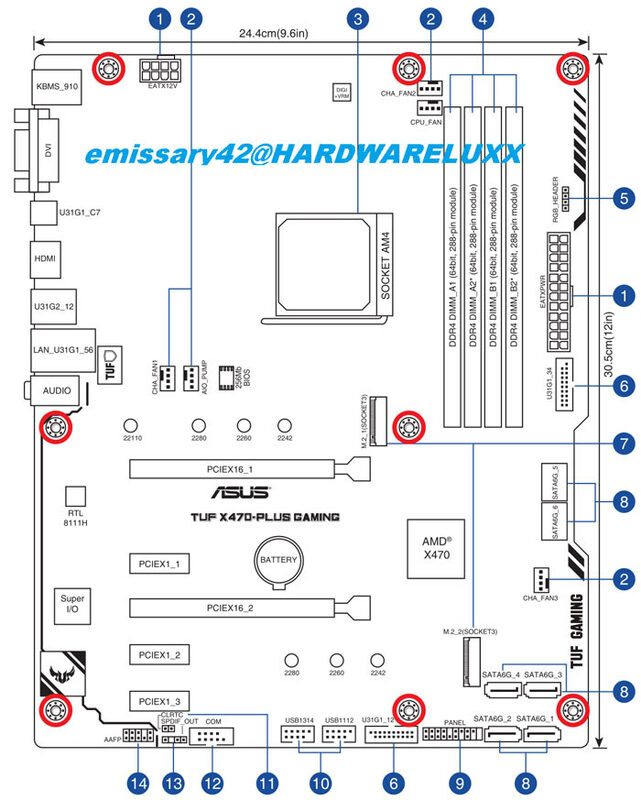 In the shared manual there are details of a trio of new boards; the Asus Strix X470-F Gaming, the Asus Prime X470-Pro, and the Asus TUF X470-Plus Gaming. Layout diagrams of all these motherboards were shared but there is a lot more info concerning the Asus Prime X470-Pro in the form of a five page specifications summary. Above: Asus Strix X470-F Gaming (left) and the Asus TUF X470-Plus Gaming. 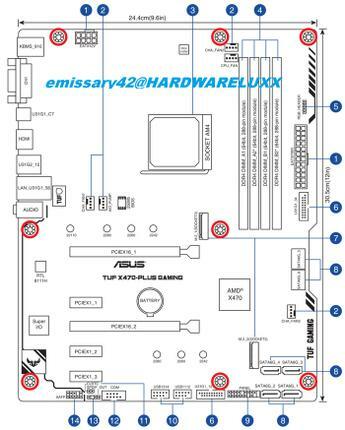 Many of the attractive new features of Asus's new X470 motherboards can be seen in the clearly labelled block diagrams. For example, you can spot two M.2 slots are present on all the boards. 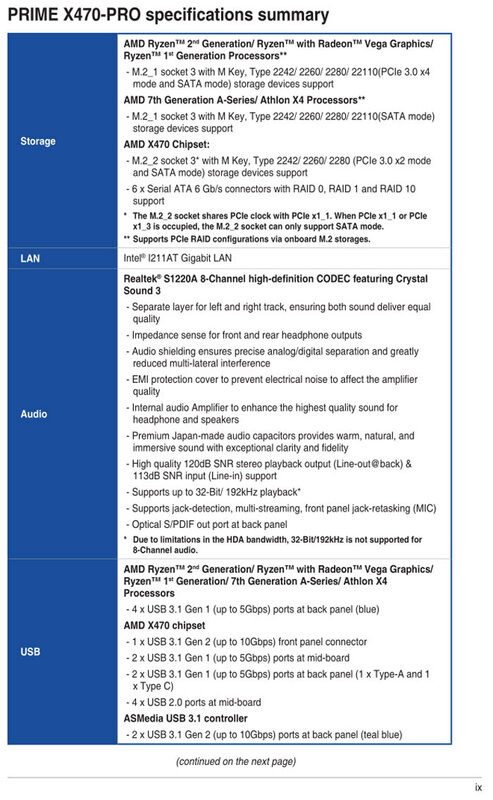 On the second page of motherboard specs (Prime X470-Pro) we learn that the primary slot supports x4 PCIe lanes, the other one is an x2 PCIe slot. Looking at memory support shows other key intergenerational differences. Faster DDR4 support, to up DDR4 3466MHz, is possible when the X470 motherboard is equipped with an AMD Ryzen 2nd generation processor. 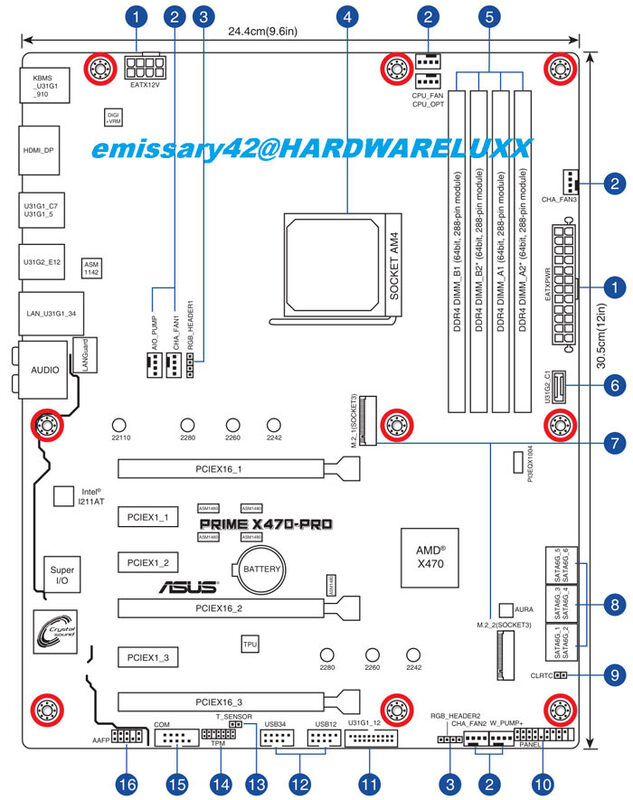 The Asus Prime X470-Pro, Asus Strix X470-F Gaming, and the Asus TUF X470-Plus Gaming are all standard ATX sized motherboards. All of them sport four DDR4 slots, DHMI & DP ports for on board graphics support, and up to seven 4-pin fan headers for luxurious cooling setups. 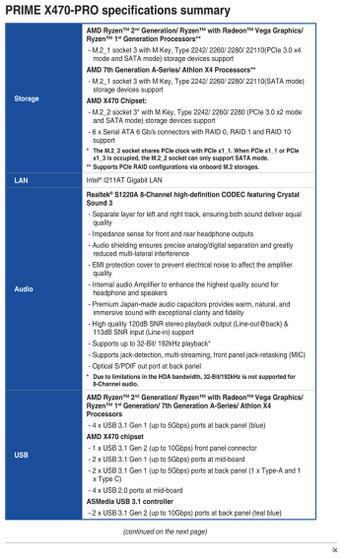 These Asus boards, and similar rival designs, are expected to launch on the same day as the second gen AMD Ryzen processors (the Pinnacle Ridge CPUs) next month. We have no guide on pricing - but the release of these X470 boards could mean that the previous gen X370 boards are cleared by retailers. 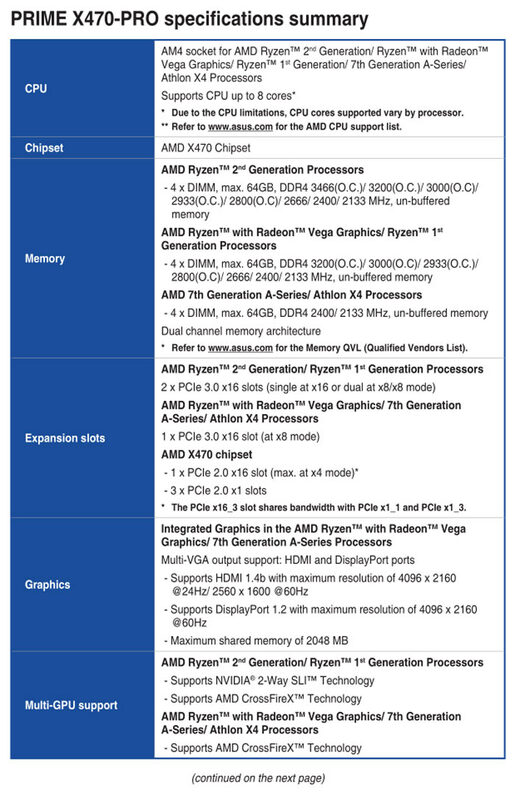 More specs slides are available on HardwareLuxx forums. All above embedded images - click to zoom in.